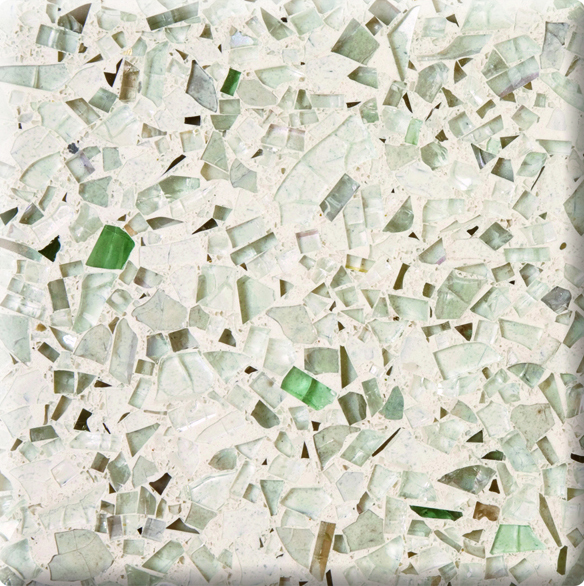 Vetrazzo is a line of surface materials crafted from 100% recycled glass. When you buy Vetrazzo, you get an exquisite surface material, truly a work of art, which becomes the centerpiece for your home or project. From architectural to art glass, beer bottles and jars, each mix is a signature blend of color and life that tells a story about you, too. 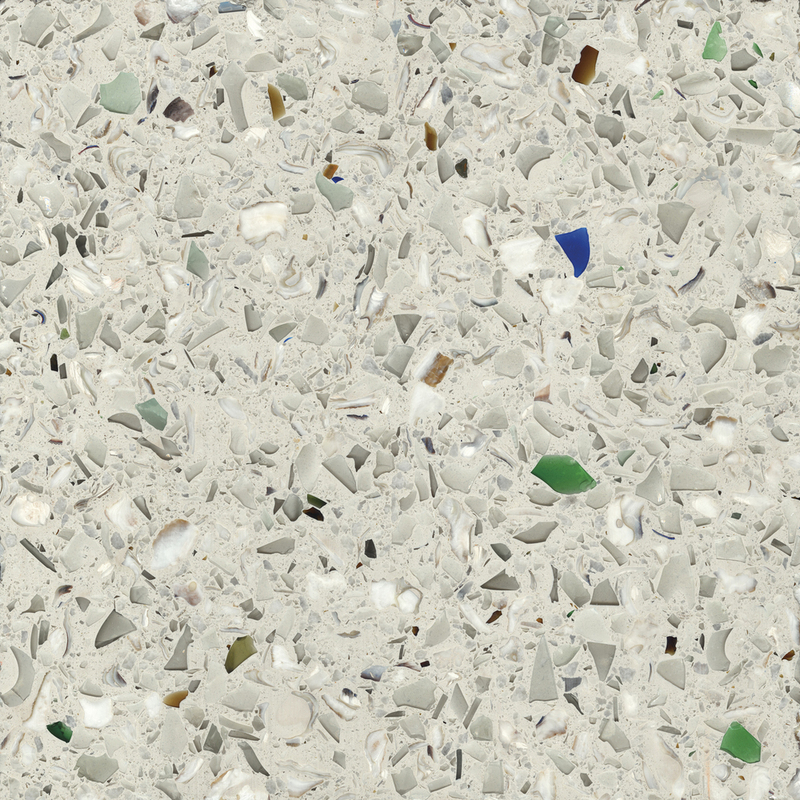 Vetrazzo is manufactured using a patent pending composition that combines up to 85% recycled glass with Portland cement, water and proprietary inert ingredients such as minerals, pigments and other non-VOC substances. Years of research, combined with strict manufacturing tolerances and quality control, produce panels with dependable performance characteristics. 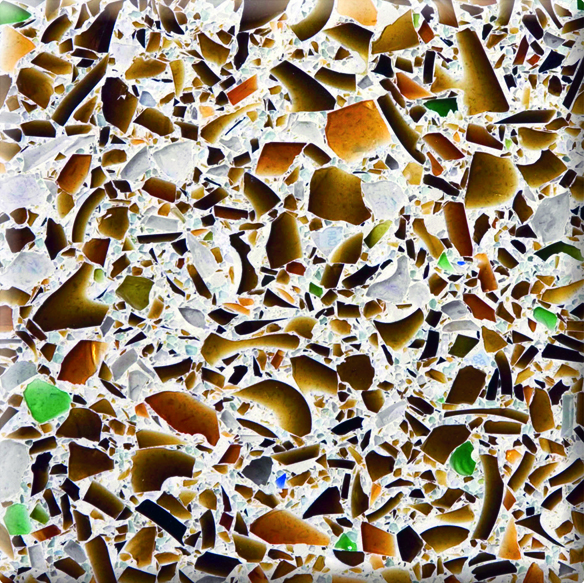 Vetrazzo is one of the “Greenest” surface materials on the market today. It uses only 100% recycled glass and each panel is made up of nearly 85% glass, by far the highest recycled glass content of any similar surface material on the market. Vetrazzo uses a resin-free cement binder instead of petroleum based resins which are harmful to the environment and support our dependence on foreign oil. 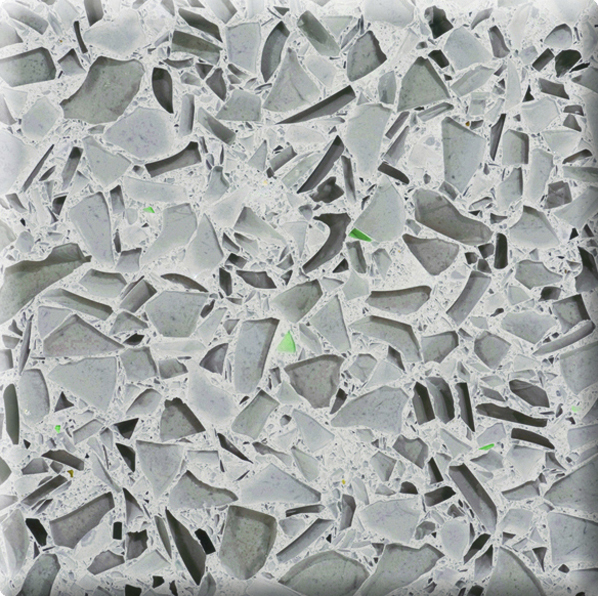 Vetrazzo provides a stunning and distinctive green signature for LEED projects. It is committed to the highest sustainability standards. 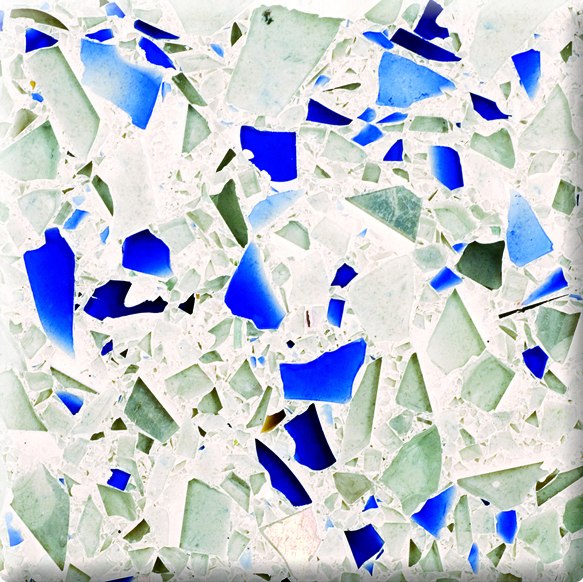 Vetrazzo uses only recycled, unprocessed glass in it’s manufacturing. In fact, many of Vetrazzo’s designs are made from 100% post-consumer recycled glass obtained directly from local curbside recycling programs. When installed, Vetrazzo sources, each with their unique story of the glass, provide a focal point to spark conversation about the importance of recycling and sustainable building practices.